The Nameless City—held by the rogue Dao prince Erzi—is under siege by a coalition of Dao and Yisun forces who are determined to end the war for the Nameless City once and for all. And the people of the city—the "Named"—are caught in between. Meanwhile, Rat and Kai must infiltrate Erzi's palace and steal back the ancient and deadly formula for napatha, the ancient weapon of mass destruction Erzi has unearthed—before he can use it to destroy everything Rat and Kai hold dear! 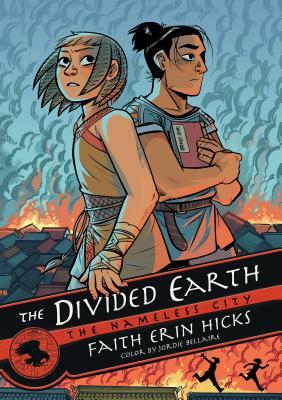 "The Divided Earth is an engrossing, briskly paced adventure in the tradition of a good-versus-evil quest...with a cast of likeable characters, a universal theme, and compelling artwork, the graphic novel will leave readers rooting for the heroes while sympathizing with villains....Fans of the series will clamor for Hicks’s next work."